Sadly, most UK dance institutions don’t bother much with dance history. No academic institution in the UK offers a coherent study of dance before the classical ballet of the 19th century. 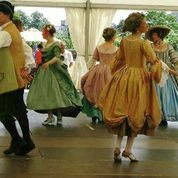 Few opportunities to learn any dances of the previous 400 years of recorded dancing are available. One dance student encountering historical dance flatly stated, “Technically these dances are dead.” How can a dance die when we know its steps, its patterns, its music, its costumes, its staging? Dancers die and choreographers pass away; arguably such dances never do. They lie waiting for us to rediscover them. It seems strange that young dancers should react this way, when artists, writers, musicians, even fashionistas, constantly return with gusto to the revival of their earliest traditions. Why has historical study in dance departments fallen away? A change in the cultural climate for dance history? Recently, attitudes to dance history have shown signs of change. There is an emerging concern for legacy. One good example of this is the new edition of Rethinking Dance History: Issues and Methodologies (Routledge, 2018). 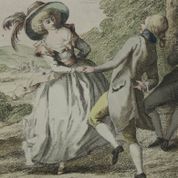 Its editors stress the “increasing importance performing dances from the past as a route to historical knowledge”, something the Early Dance Circle has supported since its inception. Granted we move much further back in time than the contributors to this current volume. Like us, however, Geraldine Morris and Larraine Nicholas feel that dance history should be a living experience shared across time and space and embodied in dance practice. They emphasise the importance of sources as routes into this storehouse of dance material and also discuss the perennial issues of reconstruction vs re-imagining vs re-staging etc. Again, like the EDC, they are open to experimentation and to a variety of interpretations. Henrietta Bannerman’s contribution, “Making dance history live—performing the past” (pp 94-106), stresses the importance of “learning repertoire from knowledgeable practitioners.” This again chimes with the practice of EDC, supporting as it does opportunities to learn historical dance from the best teachers available. Using digital technologies, this is something we hope to extend in the near future. Like Bannerman, we adopt a broad approach to “performing the past”, one that involves attention to the “philosophy, intention and artistic environment of the choreographers”. In her view, the aim is to achieve a “living archive”. The Proceedings of the EDC’s Biennial Conferences bear witness to the breadth of approaches to historical dance we have offered over the last 20 years. (link on website) But dancing is a living art that must come out of the lecture hall and onto the dance floor: “the history lecture is better understood when it is augmented and concretised by performing the choreographer’s work”. Bannerman concludes that “dancers at various points in their careers benefit from acquiring knowledge about their heritage and perhaps even more importantly embodying this knowledge through performance on stage for present and future audiences”. In Chapter 16 (pp 197-209), Moira Siegal speaks of the “porous” nature of history and argues that the dance of the past can still speak to us now. Members of the Early Dance Circle have promulgated this view for decades through their publications, their Festivals and Conferences and, what’s more, they feel it on their pulse every time they move across the dance floor. For much of European dance history, however, dancing was more than a “performance on stage”. It was a social “performance” just as much if not more than a theatrical one. Helen Thomas’s essay “Reconstruction and dance as embodied textual practice” (pp 69-81) emphasises the need “to build a substantive tangible tradition,” but warns of the dangers of constructing a canon, when so many have been written out of history in the past, the non-white, the non-European etc. The point about how narrow a canon can become is justly made. 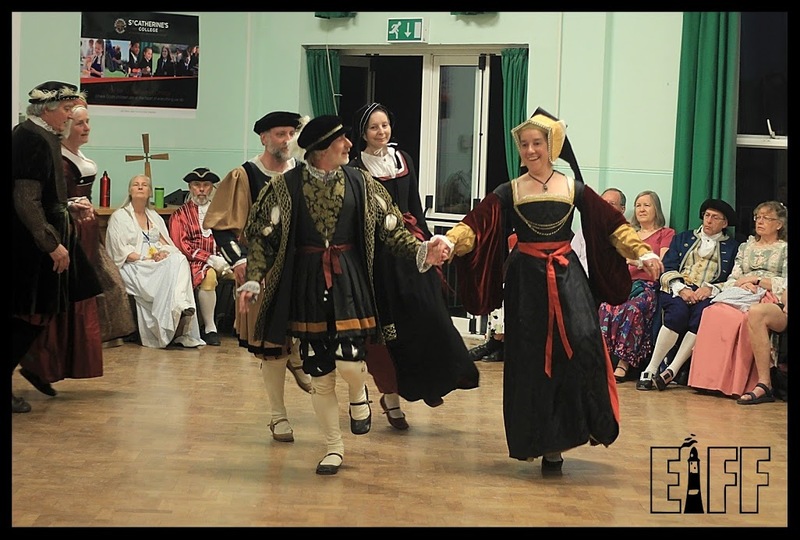 More attention to the whole sweep of historical dance across Europe, from the 15th century to the 20th, immediately widens our perspective beyond the theatre to include the dance practices of earlier societies in which dancing played a much more central role in the lives of English people. Fresh ideas about gender roles, orientation, the nature of interaction with others, the dancing body’s whole presentation could emerge from such study. We in the EDC believe that knowledge of earlier forms of dance helps to enrich the cultural life of the UK, by accessing a heritage of international importance that belongs to us all, amateur and professional. Early dance is indeed a truly international art form that opens doors to the styles of the great dancing masters of England, Italy, France & Spain, connecting us with people across the divides of language, faith, race, gender and generation. Britain has a secure historical place in this tradition and the opportunity to benefit from it. We are home to one of the very earliest of historical dance collections and John Playford’s English country dances have literally dispersed across the globe, evolving and stimulating change and development as they went. Fresh insights reward those who return to the sources, but historical dance is also an art form and, like early music, invites us to explore interpretations. Its riches still have much to offer us today.